Doris Margaret McKay (McDonald), St. Marys, passed away peacefully at Sakura House Hospice in Woodstock on Jan 11 2018. Doris silently surrendered after a valiant three month fight against her aggressive, recently diagnosed illness. She was a proud and private person to all who knew her. Doris was born May 25, 1929 daughter of Philip and Florence (Greenfield) McDonald and raised with her two sisters Joyce and Evelyn on a farm west of Embro. She attended Normal School and began teaching in a little one room school in Youngsville. In 1949 Doris married Grant James McKay(2000) and settled down on the McKay homestead in Harrington, raising two children, Elaine (Dan) and Robert (Roberta). Due to the shortage of teachers she was coaxed back into education at S.S.4 Harrington, a little stone, two room school house. Doris was one of the few women of the day who had a career outside the home. She completed her 33 year career at Zorra Highland Park school north of Embro. She considered each of her students to be her family and kept photo albums, news clippings and connections with many of them. In addition to family life and teaching, she was also a member of the U.C.W. & W.I.& was a pianist at Broadview United Church in Harrington. She and Grant loved spending Saturday nights with friends and dancing at the Lakeside Pavilion. Doris and Grant moved to Oliphant in 1990 and enjoyed 10 years of cottage life, golfing and travelling. Doris returned to live in the Thames Valley retirement community St Marys in 2001. She continued to be active in church and community events. Her sight reading skills were appreciated as she accompanied various singers and musicians at local retirement homes. She was a wonderful knitter of baby clothes, blankets, sweaters, toques and mittens. She loved cross-stitch, crosswords and theatre. Doris was very proud of her grandchildren Scott Finlay (Sheri), Kenin (Peter), Morgan, Iain, Eslin McKay and two great grandchildren Fiona and Kyla. Grandma ‘K’ spent lots of fun times with each of them playing card games or just going for long walks. Doris is survived by her sister Evelyn “Skip” Chute of Embro and her sister-in-law Helen Green of Stratford, as well as many nieces and nephews. She was predeceased by her sister Joyce Innes in 2007, also her brother-in-law Glenn Chute, Ruth and Clayton Miller, Don and Ina McKay, Forbes Green, Ron Innes and nephew Kevin Innes. Very special thanks to friends and neighbours in Thames Valley Community, especially Donna, Kit, Ingrid, Anna, Monica, Joan and Karen. Also thank you to CCAC in Stratford, Dr McWilliams, Joanne, Trish, Morgan and Shannon and everyone who made mom comfortable at home and visited with flowers and food in hand. Visitation is at Andrew L. Hodges Funeral Home, 47 Wellington St. S. St. Marys (519-284-2820) on Tuesday Jan 16 2018 from 2-4 pm. The funeral service will be held at ST. MARYS UNITED CHURCH, 85 Church St. S. St. Marys, on Wednesday, January 17th at 2pm. 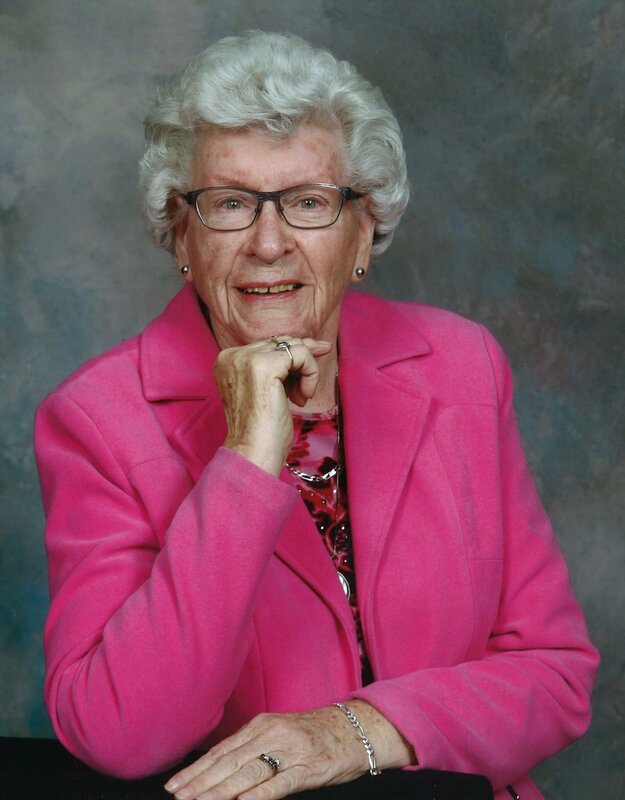 Spring interment in Embro Cemetery A celebration reception of Doris’ life will be held at the St. Marys Golf and Country Club following the service. In lieu of flowers, memorial donations may be made to VON Sakura House in Woodstock, a charity of your choice, or show simple kindness to a neighbour, friend, or stranger. Make a difference and pay it forward.